A waterfall is an astonishing sight to behold and is definitely one of the wonders of nature. India is blessed with a diverse climate and most of the parts of the country receive good rainfall throughout the year. In India, thus, there are thousands of waterfalls that are not only spectacular but also are among the tallest waterfalls in the world. In fact, each state of the country has a small or big waterfall. Kerala receives good rainfall and there are many waterfalls in the state but when you mention Kerala waterfall, it is Athirappally falls that everyone refers to. It originates from Chalakudy river which is located in the forests of Vazhachal in Thrissur. The Falls fall from a height of 80 ft and are one of the best waterfalls in India. It is one of the most popular tourist spots in Kerala and also frequented by film crews for shooting films. With greenery all around, and the mystery of the forests engulfing the falls, the Aathirappally falls is definitely worth visiting at least once. June to September is the best time to visit as during monsoon, the falls appear to be at its best. 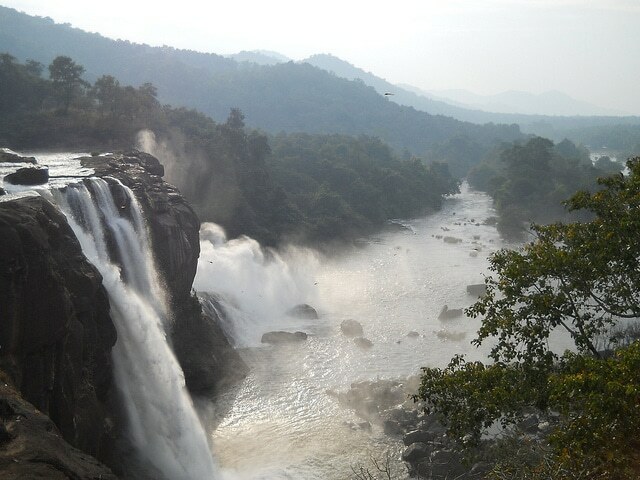 No wonder, then the Aathirappally waterfalls is called as the Niagara of India. 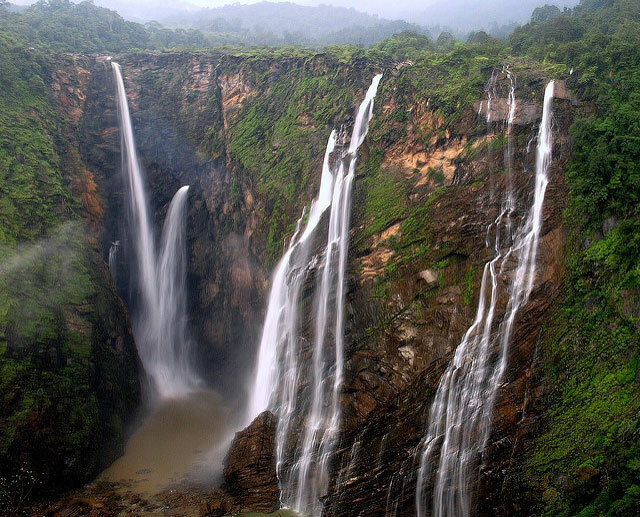 Located in the Shimoga district of Karnataka, the Jog falls come from Sharavathi river and is the second-highest plunge falls in India. It falls from a height of 830 feet and is also listed among the ten highest waterfalls in the country. It is also the highest non-tiered waterfalls and is enclosed in lush greenery all around. The region is also one of the ecological spots listed by UNESCO. Those who love trekking can go do so in the nearby region. Those who would love to swim in the waters can go to the base and take a plunge in the river. There is also the Watkins Platform from where you can get an amazing view of the surroundings. All in all, it is definitely, a waterfall worth seeing. The monsoon months are the best time to visit. It is also known as the Mawsmai falls as it is situated in Mawsmai village in East Khasi Hills District. Nohsngithiang waterfalls is well-known waterfalls in Meghalaya and also the 4th tallest waterfalls in the country. During monsoon, the waterfalls shine in its best glory and falls with a thunder from a height of 1033 feet from Khasi hills. There are many waterfalls in Meghalaya as it receives rain throughout the year, but of all, Nohsngithiang waterfalls is the best. The gushing falls is surrounded by rocky mountains and a beautiful valley and thus offers a great view. 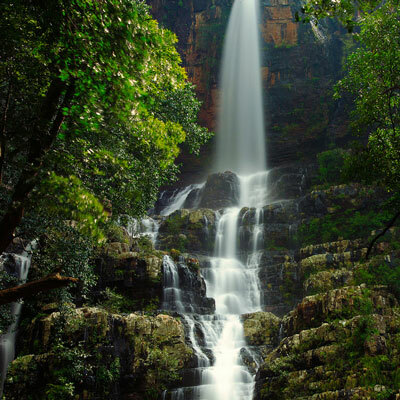 With a height of 270 feet, the Talakona waterfalls is the highest in Andhra Pradesh and it is also one of the most beautiful waterfalls in the country as it is located amidst forests and wildlife. It is located within Sri Venkateswara National Park at Chittoor. It is also believed that the water of the falls has medicinal value because there are many medicinal herbs around the region. Dudhasagar means a sea of milk as that is how the waterfalls look when it is in full flow during monsoon. 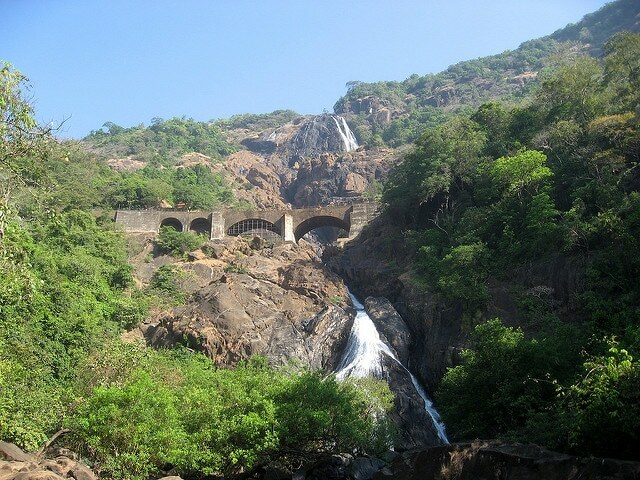 With a height of 1,020 feet, the Dudhasagar falls is listed on the 227th position in the world. It originates from Mandovi river in Goa and is one of the most visited destinations in Goa. The Dudhasagar waterfalls falls on the Karnataka-Goa border and is situated within the Bhagwan Mahavir wildlife sanctuary. It can be visited both during summer and monsoon. Anybody will be surprised to know that Rajasthan, the desert state, has a waterfall. Well, it is true. 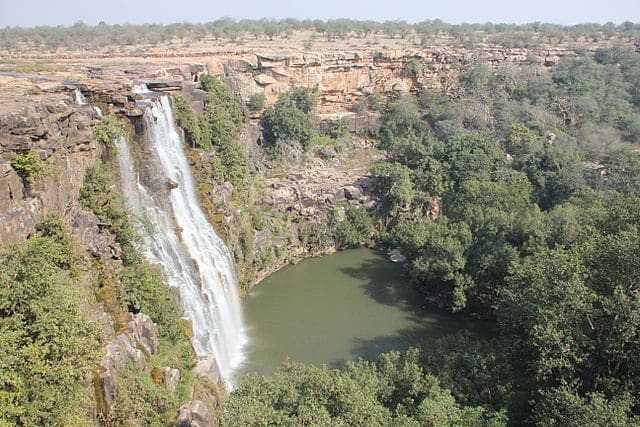 The Bhimlat waterfalls located at Bundi village and is 60 m high. To see such a beautiful waterfall in Rajasthan is not only exciting but a wonder in itself. It also gives a great view amidst the desert backdrop that the state is known for. It is best to visit the falls during the monsoon months. This is yet another amazing and one of the highest waterfalls in Meghalaya. 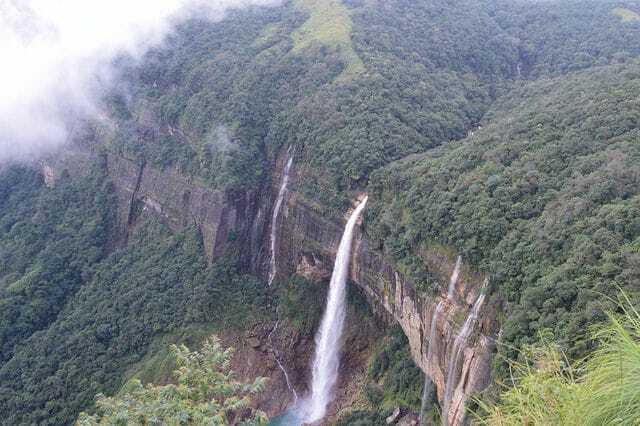 The tallest plunge fall in the country, Nohkalikai falls from a height of 1100 m and being in Cherrapunji which receives the highest amount of rainfall in the world, you can expect the Nohkalikai falls to be in its glory all-round the year. There is a viewing gallery from where the visitors can enjoy the sight of the falls from a safe distance. The roaring of the falls can be heard from a distance. November to February is the best stretch to visit Nohkalikai falls. 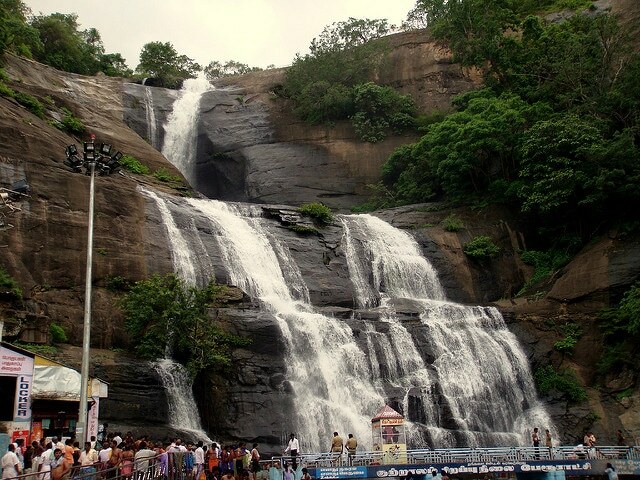 Located in Courtallam in the western ghats, Courtallam falls is not a single waterfall but a group of nine waterfalls. As it is located amidst the Agasthya hills, the waterfalls look spectacular from any side. There are also many other tourist spots around the region. 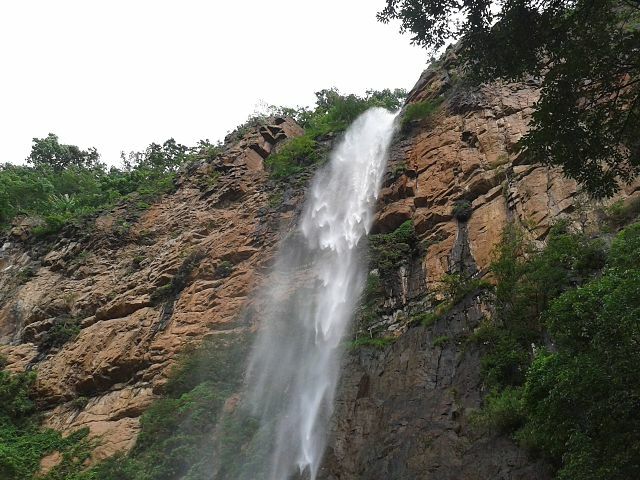 It is the highest Waterfall in Odisha and 12th highest in India. located amidst Nandapani forest in the district of Sundergarh. Falling from an altitude of 801 feet, the Khandadhar falls offers a spectacular view surrounded by lush greenery on all its sides. During monsoon, it is a great sight to watch as the waterfall is brighter and stronger. 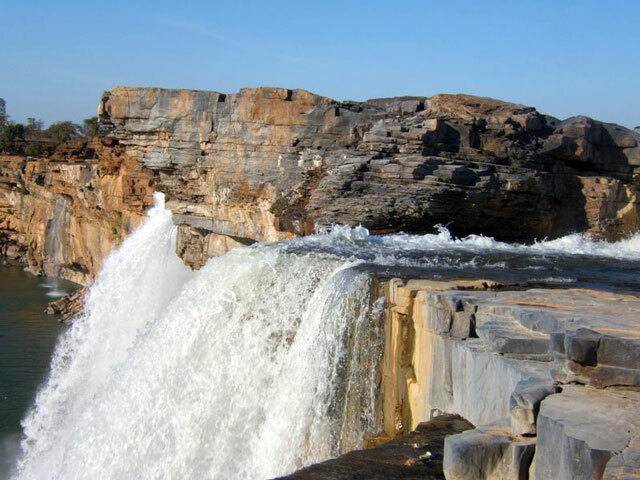 Situated on Indravati river near Jagdalpur, it is a serene waterfall falling from a height of 29 m but during monsoon, the waterfall acquires a violent form and falls with a greater force. Chitrakot falls is also the broadest waterfall in India and offers a great view with its backdrop of the green forests. Some of the waterfalls can be visited all through the year while some will be visible only during monsoon. Also, one has to be careful around the falls as the rocks and surrounding area tend to get slippery. Hence, always follow the rules and the instructions to the T. Most of the waterfalls have guards to ensure the safety of the visitors. Very well written article. I was planning to visit “Hogenakkal Falls” as it is near to Bangalore. But this list gave me many other options to look for.